There’s nothing more satisfying than chowing down on a bag of cookies, a piece of cake or whatever goodies you can get your hands on after a long, intense workout. You’re thinking you just burned through at least a bag’s worth of carbs and then some, right? 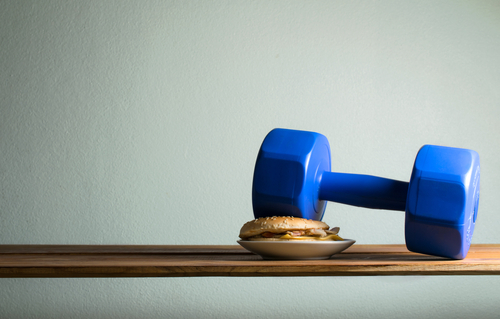 We’ve been told that if there is ever a time to chow down on calorie rich junk food, the time to do so is right after a workout, when you muscles are craving energy and your glycogen stores are low. Our muscles just absorb all the nutrients it can after a workout because it is desperate, this is true but hold off on stuffing your face with gummy bears, it probably isn’t your best bet. We have always been told that working out or doing any type of physical activity is going to boost our metabolism and thus burn fat. We are then told that we need to restore lost glycogen used from exercise by eating enough carbohydrates to replenish these stores. The problem with this is that many of us don’t have an accurate picture of just how much this is. To give you an idea, the average person has about 500 grams of stored glycogen or fuel which is found in the muscles themselves and the liver. After a hard workout, we deplete these energy stores, but to what extent? Unless you are a marathon runner or participate in some other long distance endurance event, chances are your glycogen stores aren’t going to be fully depleted. The average person only burns up to 25% of their glycogen stored in the muscle through exercise, in the ball park of 100 grams. To give you an idea of how much or how little this is, drinking one 12 oz can of soda is going to give you about that much of energy. Most people who go to the gym greatly over estimate just how many calories or fuel they are using up, and over eat to compensate for what they think they lost, resulting in weight gain. Many people forget that our body uses fat as a source of fuel as well as carbs, especially during high intensity exercise. In fact, during high intensity exercise most of your energy is coming from fat as opposed to glycogen, which is something important to keep in mind when you are trying to replenish those glycogen stores. Again it is easy to overestimate how much glycogen your body is using when you forget to take things like fat in to consideration. It takes the body about a full day to completely replenish your glycogen stores, and all of those meals you eat throughout the day give you plenty of nutrients to do so, so don’t over eat to compensate in addition to what you usually eat. Eating a small snack to get that extra carb boost after a workout is still a good idea, just don’t overdo it by eating enough to where it can be its own meal. This is something that is going to take a little trial and error on your part. What you eat and how much of it largely depends on your metabolism, your weight, and what your weight loss goals are. If you are someone who is an advanced athlete, who exercises multiple times a day at a relatively high intensity then you should definitely consider a post workout carb boost. Clif bars are great for people who like to do long distance endurance runs, trail hikes, climbing or other activities that require a lot of energy. For the average person however, eating a nice carbohydrate rich meal after a workout in addition to what you normally eat really is unnecessary. For most people even a banana has more than enough carbohydrates to adequately replenish what was used, so planning a whole meal around replenishing your glycogen stores is not needed. The takeaway here is that a post workout carb binge is just not necessary for your average gym goer and could end up making you add weight rather than gain it. You really aren’t using that many calories when it comes to your exercise routine in comparison to what you need for the day, so immediately reach for that cookie after your workout.